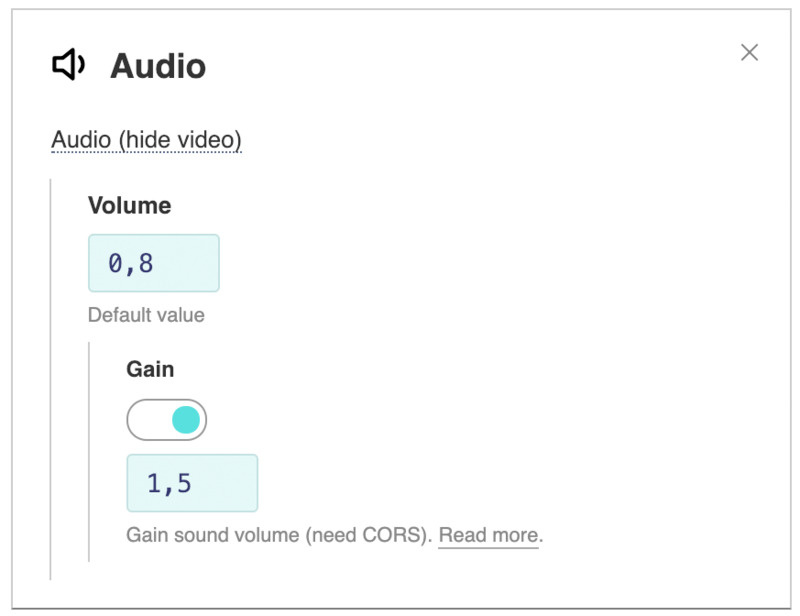 Video or audio content is loaded with cross-domain policy (CORS). Player launch initiated by user. Audio gain management requires cross-domain permission if content is loaded from another domain. Files may require server configuration — the header should contain Access-Control-Allow-Origin: * and the Services / Cross-domain (CORS) option is enabled in the settings. If the video plays muted, then something is wrong with the cross-domain policy (look in the browser console). For HLS and DASH streams everything is usually already set up and no manipulations are needed.